I'm usually a sceptic when it comes to releases of vault recordings. A lot of them are poorly curated, and their release to the public would probably make the artists roll over in their graves. 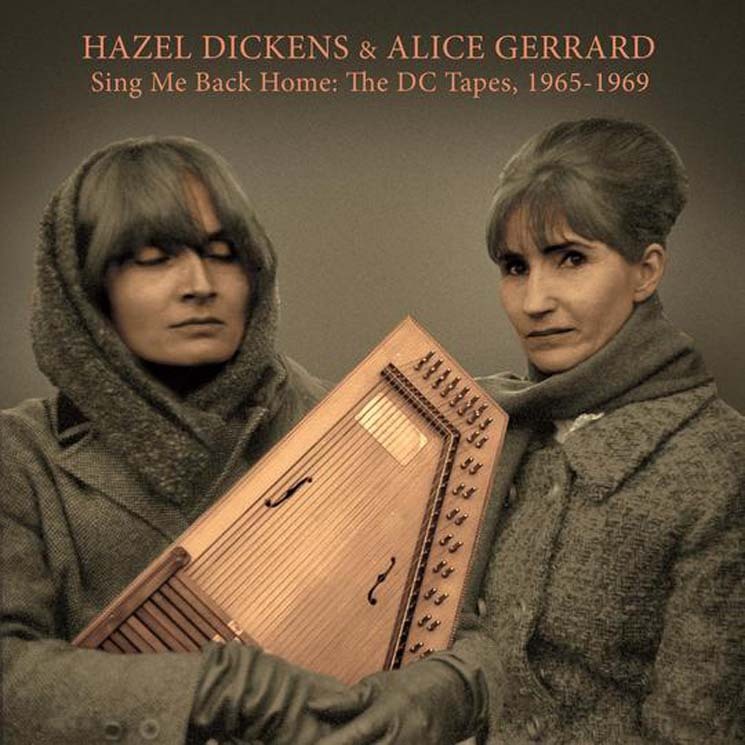 Hazel Dickens and Alice Gerrard's Sing Me Back Home: The DC Tapes 1965-1969 stands out as a welcome exception. The first difference is that, while Hazel Dickens passed away in 2011, Alice Gerrard is still very much alive, and the reel-to-reel recordings featured on this compilation come from her personal collection. It's obvious she only let the good tracks pass muster. Still, there's no denying these are rough demos. From the infrequent throat clearing, to not quite having decided on where the chords ought to change on "Seven Year Blues," to missed vocal cues on "This Little Light of Mine," to the sound of kids running around in the background, these tracks were certainly never meant for public consumption. In fact, only a couple of these songs ever made it onto actual records. But as a glimpse into process, Sing Me Back Home works, because Hazel and Alice weren't exactly known for their polished sound. Their rough-hewn voices and matter-of-fact style was precisely what made them great, and their strong and honest singing is absolutely there on every song. With material like the brother duet "Are You All Alone," the raucous "Let Me Fall," and the heartbreaking "No Telephone In Heaven," it's easy to see why these women have had so much appeal and influence across the bluegrass and classic country genres. But the first track, a playful version of the Everly Brothers hit, "Bye Bye Love," with what can only be described as badass autoharp, shows that their tastes ranged more broadly.